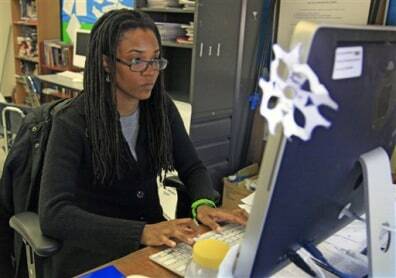 Nkomo Morris, a teacher at Brooklyn's Art and Media High School, works on her classroom computer in New York. Morris, who teaches English and journalism, said she has about 50 current and former students as Facebook friends. That could be a problem if the new rules instruct teachers not to friend students.